Buy Essays on Ayn Rand's We the Living by Robert Mayhew (ISBN: 9780739106983) from Amazon's Book Store. Everyday low prices and free delivery on eligible orders. 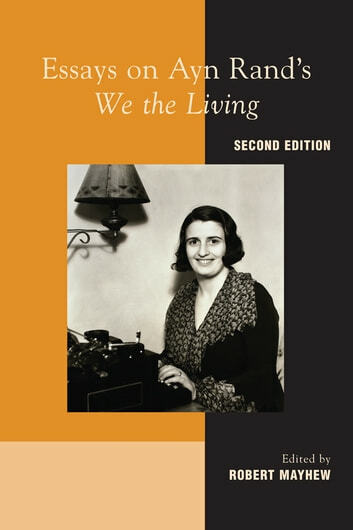 Amazon.com: Essays on Ayn Rand's We the Living (9780739106983): Robert Mayhew, Michael S. Berliner, Andrew Bernstein, Jeff Britting, Dina Garmong, Onkar Ghate, John Lewis, Scott McConnell, Shoshana Milgram, Richard E. Ralston, John Ridpath, Tara Smith, Jena Trammell: Books. Book info about Essays on Ayn Rand's We the Living, edited by Robert Mayhew.